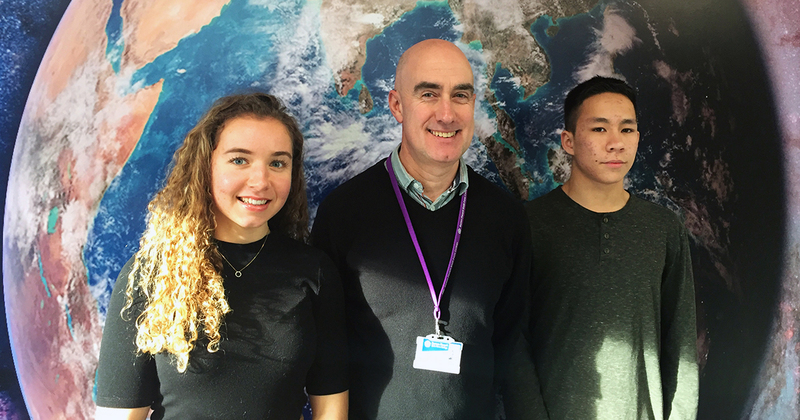 Three Barton Peveril Sixth Form College students were successful in the British Physics Olympiad, this year. Competing in the national competition the three students earned a Commendation, Bronze Award and Gold Award between them. The British Physics Olympiad requires students to sit a series of papers that test their knowledge beyond the A Level syllabus, with 1965 individuals entering the competition this year. Student Charlie Craig, formerly of Wildern School, earned a Commendation for his efforts in the challenging competition. Former Brookfield Community School pupil Tamzin Ellis placed within the top 35% of all competitors, earning a Bronze Award. Previous Thornden School pupil Patrick Winter finished within the top 100 competitors, receiving a Gold Award and a place in the second round of the competition in January. Patrick’s award is another in a series of awards he has won, whilst at the College; Patrick recently achieved full marks in the Senior Maths Challenge and made his way into the British Mathematical Olympiad, which only the top 1000 Mathematics students in the country compete in.